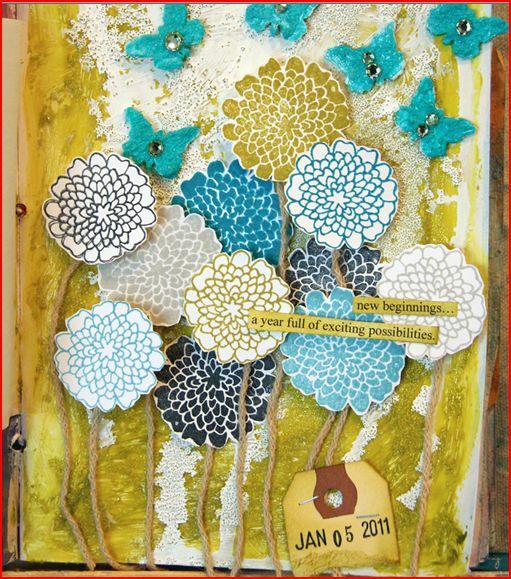 I love stamping and I love doing collage and mixed media artwork also and I like to try to combine both. And so does Donna Downey. She has a wonderful blog called “Simply Me” where she shares lots of creative ides where she uses lots of stamps in her gorgeous art work. Be sure to check out her Inspiration Wednesday videos for step by step techniques and ideas. Click here to visit her wonderful blog.